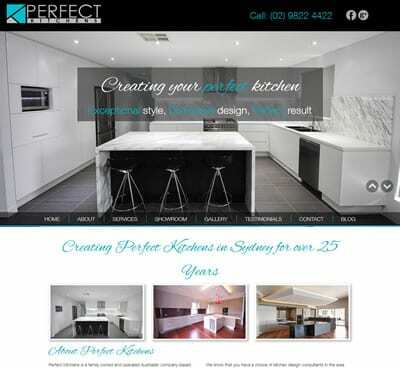 We have just completed the design and development of a brand new website for Perfect Kitchens, a kitchen design and manufacturer based in West Sydney. 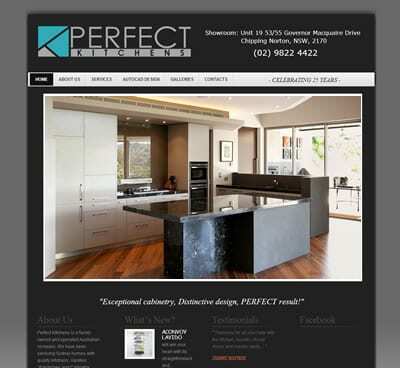 The new website was designed to showcase the amazing kitchen designs and quality of workmanship that goes into creating people’s dream kitchens. The back end of the site provides an easy to use gallery system for the client to update and showcase their latest work. The site is fully responsive so it displays beautifully on all screen sizes.